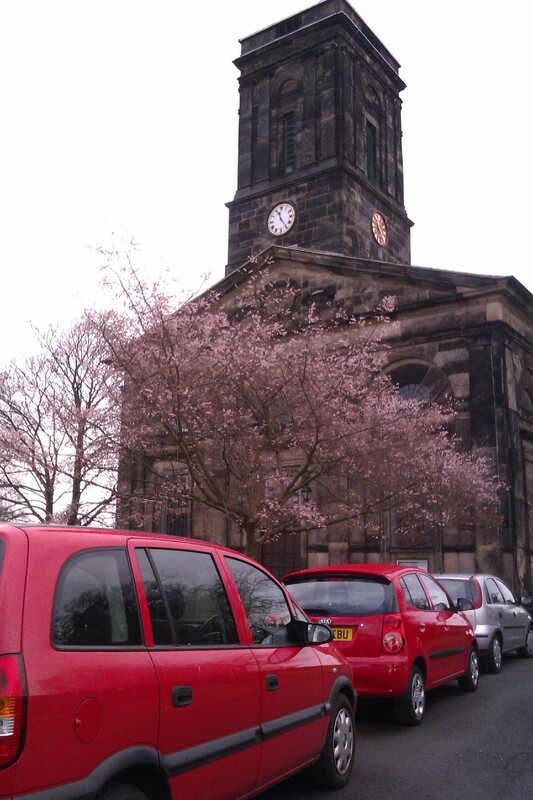 Right now (and since the first week in January) the cherry tree outside my church is blossoming. It has been quite a disconcerting sight for me these past two weeks. The air has also been very wrong. It’s warm like the spring, and carrying the barely detectable scent of flowers, though not as heady a fragrance as you might get in March. Last night I went past a mown lawn and it smelled just like the grass does in summer. What in the hay is going on here? 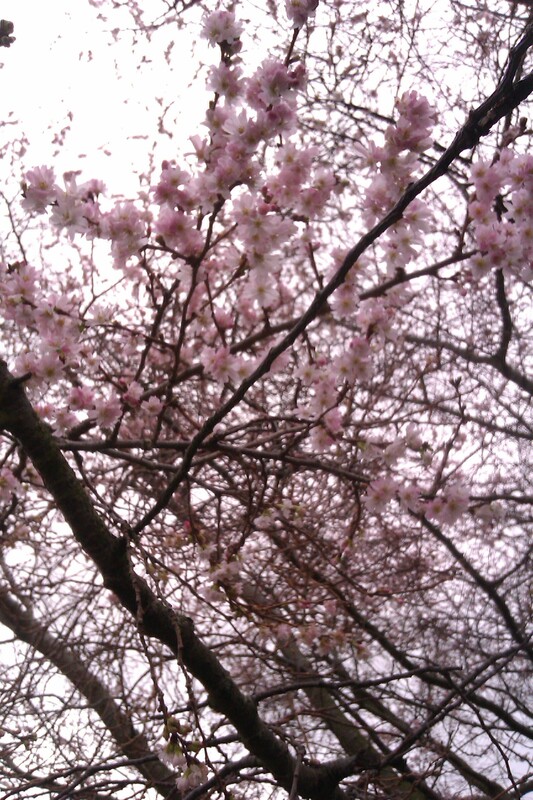 This cherry tree, for me, represents the idea of flourishing in circumstances where one would not normally be expected to flourish. When I first saw it I was reminded of my own successes this winter. My transition into the usual depression was bumpy, but it eventually leveled out and I must say this is the happiest January I’ve had since I was 17. It has also been an unusually productive winter. I finished an album and then found the time to write and film a behind the scenes documentary to accompany it. At the same time I was writing songs for my own solo projects and helping out with the leadership of the ‘twerties’ Bible study group, not to mention contributing to the music at church over Christmas. I have been a busy bee. Except bees don’t work in winter! The problem is that I feel like I have been robbed of my ‘cold snap’. Normally I relish seeing the little tips of daffodil leaves beginning to venture to the surface of the soil. 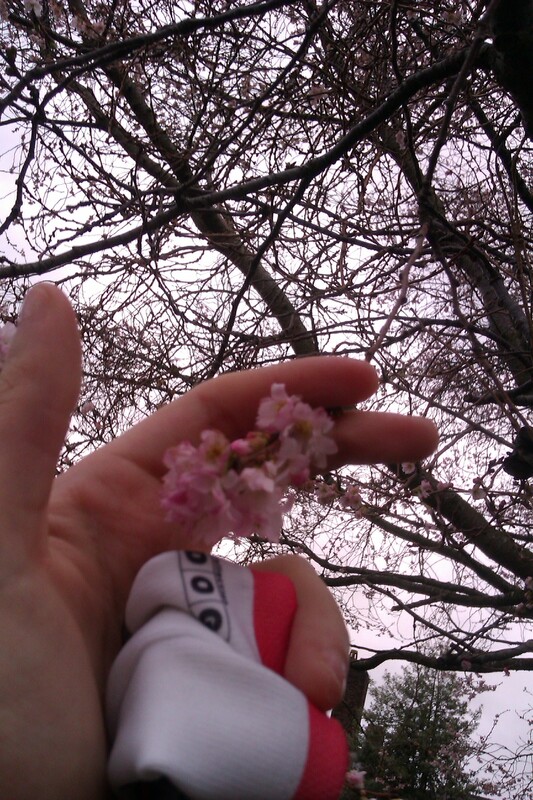 February is when I annoy my husband, telling him all the signs of spring and getting increasingly excitable. This year, however, I’m already seeing some buds forming and it all feels like it’s happening too fast. I’m enjoying the sunshine, but the 13°C temperature today just annoyed me. I wonder if I’ll bounce back in spring like I usually do, or make a disappointing bob with all the glory and excitement of going over a speed bump. I hate the idea of peaking too soon. I like sustainability. Anyone else in the UK feeling the same sensory confusion? ← Jesus Loves Electro, Apparently.